Within the legal sector there is now an increasing clamour about the use of technology to leverage greater innovation. Everyone wants to be seen as cutting-edge, tech savvy and as “true pioneers of innovation”. It’s almost a race by some to differentiate themselves from the competition through technology. However, if all the top law firms are making this same kind of noise, then naturally enough they all sound the same. It’s easy to see why the startling developments being made in machine learning, artificial intelligence and sentiment analysis grab the headlines. You cannot go a day (or even a couple of hours) without someone extolling the virtues of some new ‘game changer’ within the legal profession. And the courtroom is no exception. What is a digital court? Having evolved over centuries, HM Courts and Tribunals Service (HMCTS) is now experiencing exactly the same kind of substantive challenges that the high street experienced in the late 90s and early 00s. Changing legacy systems and processes takes time, money, commitment and effort. Lord Justice Briggs’ vision for online courts is forward facing and can be designed and implemented in a way that is free from the red tape and legacy of existing systems, processes and expectations. This feels very much in line with online retail giant Amazon – who by creating their own service offering were able to completely ignore/overcome challenges facing traditional high street retailers. The existing UK court service has to adapt and evolve whilst still continuing to provide a service that underpins access to justice. As software developers, we have been privileged to work closely with parts of HMCTS and their initiative to innovate by moving to digital courts. This we feel is just one step to moving towards online courts. There are no clear-cut definitions for either “online courts” or “digital courts”. We have seen online courts as something not too dissimilar to Skype, Facetime or Google Hangouts. Relevant parties upload documents in advance and rather than the hearing happening in a physical bricks and mortar building, it would happen online. Many of the online court ideas are at quite an early stage and some are proving at best the subject of debate and at worse controversial. With a digital courtroom, hearings still happen in a physical court. However, the evidence is submitted electronically prior to the hearing and additional hardware such as laptops, tablets and monitors or television screens might be brought into the court. Do digital courts already exist? There are now many digital courts across the UK. Even with no central funding from HMCTS, many of the UK’s Family Courts are already digitising. This is best evidenced by the tremendous efforts carried out in West London and Central London Family Courts; now fully digitised. 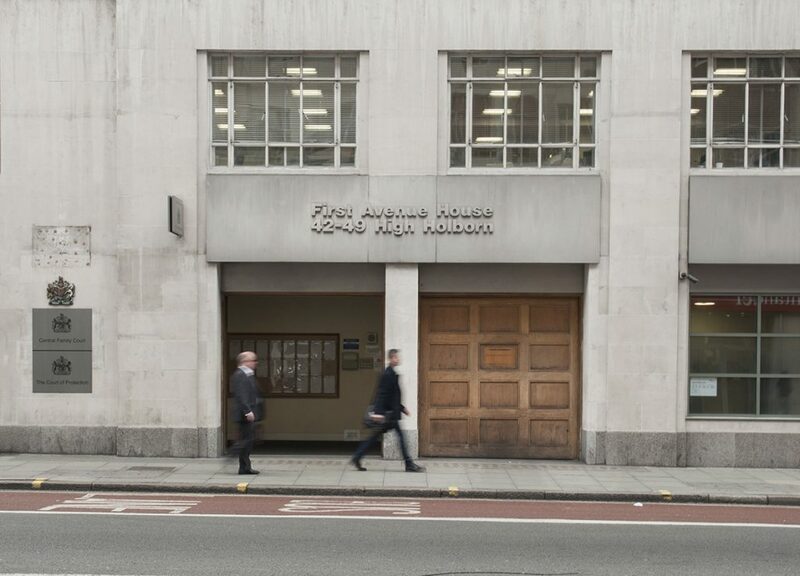 As of 28 February 2016, the London Digital Courtrooms project had created over 1,069 cases, with an estimated saving of £855,200 compared to a manual paper process. Family work is highly emotive; decisions are made for the welfare of families and children based on the information contained within the court bundle. An average family matter may have between three and five hearings, requiring up to five copies of the bundle. Simply put, mistakes are made as the paper-based collation, indexing and copying processes are time consuming and incredibly easy to get wrong. Putting documents in the wrong section or the wrong order can have tremendous impact on the outcome. Relying on paper-based processes that are known to contain errors is no longer acceptable. Many of the London Family Courts have recognised this and have used this to leverage systems through the smarter use of technology. There are 32 London Borough Local Authorities who are all at different stages of digitisation. This makes it more difficult to bring everyone across to one platform and therefore HMCTS cannot mandate what systems have to be used. HMCTS have made it very clear that they do want a data room type solution rather than a point to point user system and they don’t want to be sent huge electronic bundles and then leave it to the court staff to then disseminate the bundle for that hearing. In other words, they don’t want you emailing your bundle to the court for someone else to sort out. There is a massive drive at HMCTS towards digitisation, with over £700m investment currently being made, with the criminal courts first in the queue. However, there is also support from HMCTS for all the pilot schemes in the family courts too and they are now actively working towards a culture of digital working. John Baker (Digital Lead for London, HMCTS) set up three London pilots in February 2015 to look at ways to digitise the Family Court. In West London, South London Legal Partnership (the shared legal services of Merton, Kingston, Richmond, Sutton and Wandsworth) set up a pilot project with two existing providers Zylpha (eBundling) and Project Fusion (secure delivery and data rooms) to establish a working model. ProjectFusion were already providing a secure sharing platform called Safedrop to SLLP, and were able to offer an enhanced service with their data room product. This provides a simple to use virtual interface, which delivers a secure digital space protected by the latest and leading security technology. Here, all the files and bundles required for cases are held in one single repository, which is accessible 24/7/365. This means that, for the first time, those wishing to prepare for a case in advance can do so securely online at their own convenience. Zylpha’s digital eBundling software eliminates the strain of creating and maintaining paper court bundles and removes the risk of lost documents. The digital bundles can be updated, repaginated and distributed safely in a matter of minutes – a process that previously took many hours to complete. Zylpha’s software also ensures that the highest levels of encryption and security protect documents and files sent between parties. This eliminates the need for expensive mail and bike couriers. The third element is a high quality support programme, which has been exclusively developed for Digital Courtrooms. The support team is supplied through South London Legal Partnership, the shared legal services operation for Kingston, Merton, Sutton and Richmond councils. With their considerable expertise SLLP will manage the onboarding and support of clients, using the latest techniques to ensure the highest levels of practice and compliance. This innovative three element solution digitally replaces the time-consuming and expensive paper-based administrative processes that inhibit the effectiveness of the court service. By eliminating paper-based practices, the Digital Courtrooms solution enables court processes to be streamlined, significantly reducing costs, removing the stress of missing files and greatly boosting efficiency. The initiative has had the full support of both the court and judiciary, without which the project would certainly have failed. The court staff were fully involved with the pilot and gave feedback throughout on how to improve the service and provide different ways of doing things as ultimately they are the end users of the product and we were nervous about asking them to change their long-standing working-practices. It has been a learning experience on all sides but generally there has been very good feedback from all key stakeholders including the courts, judiciary and other relevant parties. When we first started, the pilot judiciary were invited to the data rooms by SLLP. It became a logistical nightmare very quickly (cases being bumped or another judge presiding the hearing). HMCTS quickly identified it made better sense for everyone involved if they managed this as they have access to judicial calendars which now makes the entire process run a lot more smoothly. Moving from manual paper bundles to digital (electronic) court bundles brought with it a range of positive changes. Interestingly, the overall switch to a digital system has not just benefitted the sender of the court bundle, but all parties who are able to receive information quicker, cheaper and more secure. Feedback includes hearings starting on time, a complete changes the understanding of the case as participants are able to pre-read documents prior to the case starting. One key part of the project centred around IT governance, and during the project an IT information assurance document was created by HMCTS which is available to anyone who is interested in taking part in a pilot scheme for anywhere in the country. This document is primarily for court managers and legal services managers within local authorities and concerns the various requirements that they will need to consider in order to start a pilot and to drive it forward. Digitising the UK Family Courts is not something that is exclusive to the Digital Courtrooms initiative. There are many family courts and local authority legal teams working together across the UK who are running their own initiatives. One can see that there is room for both online courts and digital courts. However, the former have yet to complete their journey though the gauntlet of peer review, public opinion and a definition of prudent governance. Digital courts, however, are off to a flying start and within and by 2020 will have been fully implemented across the country. David Chapman is the Marketing Manager at Zylpha who write software for the legal sector, currently focussed on electronic document bundling and case management integrations. Email d.chapman@zylpha.com. Twitter @zylphaltd.